Please join us for a timely dual panel discussion on two significant developments in data protection regulation: the California Consumer Privacy Act (CCPA) which will have far-reaching repercussions for companies operating in the U.S., and GDPR data breach notification requirements which have triggered more than 40,000 notifications to regulators over the last 8 months. These two topics — both of which impact companies in the UK — illustrate the interrelation of data protection regulation across the Atlantic. Our global team of privacy and cybersecurity lawyers and experts will provide insights based on their deep experience dealing with GDPR compliance and managing global data breaches. We are delighted to be joined by Yukiko Lorenzo, Senior Managing Privacy Counsel at Mastercard, who will give us her unique insight on how to build on GDPR compliance for CCPA. Insight from a leading in-house lawyer on how to leverage GDPR compliance. How to get ready to respond to global data breaches. Practical tips on how to handle global data breaches when they happen. For more information about privacy trends, please see the latest WSGR Data Advisor. Registration/Networking - 3:30 - 4:00 p.m. Program - 4:00 - 6:00 p.m. 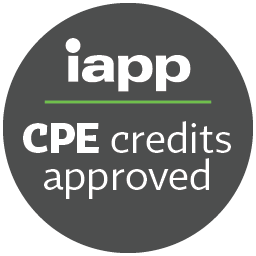 This activity has been approved by IAPP for 2 CPE. This activity has been approved for Minimum Continuing Legal Education credit by the State Bar of California in the amount of 2.0 hours, all of which will apply to general credit. No hours will apply to legal ethics, competence issues/substance abuse, or to recognition and elimination of bias credit. This course has been approved in accordance with the requirements of the New York State Continuing Legal Education Board for a maximum of 2.0 credit hours, all of which can be applied toward the Professional Practice requirement. To remove your name from our mailing list for similar information updates, please click here to unsubscribe.